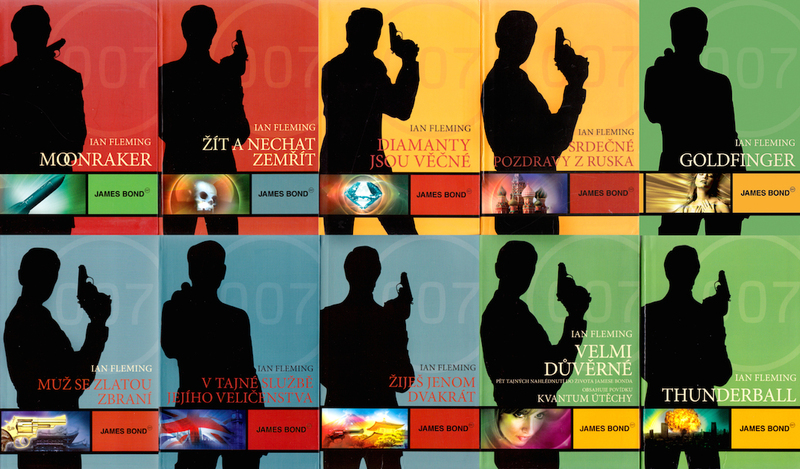 Bond fan Lukas Berny from Prague has sent over these Ian Fleming Bond covers from the Czech Republic. The covers feature Bond in silhouette. Can you name which actors are represented here? I find it interesting that the Thunderball cover seems to depict an event that's threatened in the book, but doesn't actually happen.